If our map has a blank look on its face, it’s because we’re just getting started with identifying stops for the 2018 American Grown Field to Vase Dinner Tour. As we ramp up for our fourth year of this wildly successful tour – bragging timeout: the tour just won Marketer of the Year from the Society of American Florists (SAF)! [“Field to Vase Dinner Tour Wins Marketer of the Year“] – we’re busy asking flower farmers, florists, wholesalers, flower designers and our sponsors where we should stop in 2018. 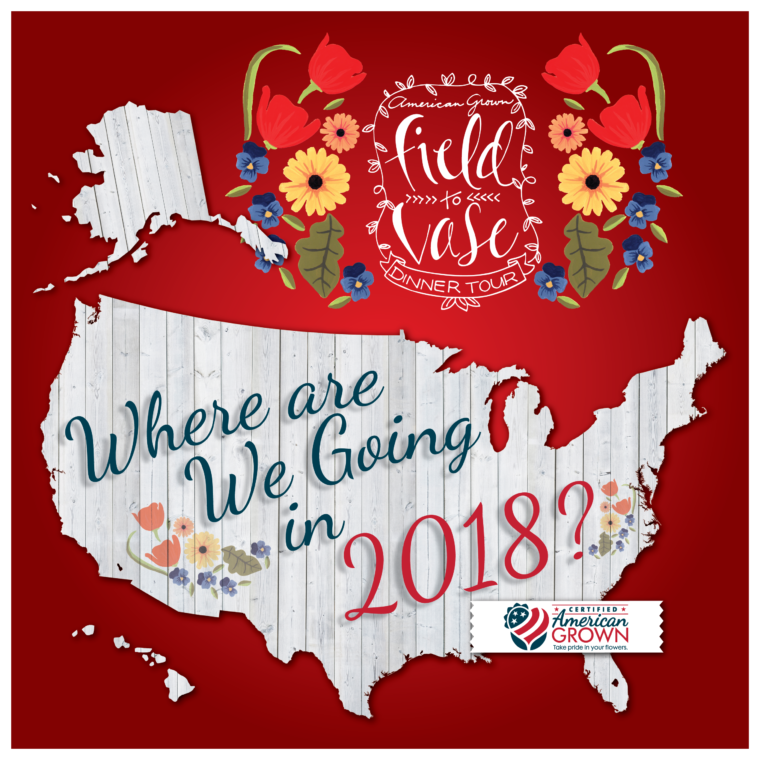 We’re canvassing the country, checking out locations and looking to shine the spotlight on America’s best flower farms, floral designers and communities that exemplify the growing support and movement for American Grown Flowers. Got a suggestion for the perfect location? Email us at info@AmericanGrownFlowers.org and tell us why the American Grown Dinner Tour should stop in.